When many people imagine living abroad, they picture castles, fairytale winding roads, and relaxing in cafes every afternoon. I will be the first to tell you, after living in Europe for seven and a half months now, that life over here is what you make it. It is easy to get caught in a rut of the same old, same old - something that I imagined escaping when living abroad. So how do you break this rut, how do you edge out of your routine, and experience the life you dreamt up for yourself? You do the thing you moved over here to do in the first place: you travel. Las Ramblas is an interesting street. It runs smack dab in the middle of the city, and separates two popular quarters of Barcelona; the Gothic Quarter, or Barri Gòtic, on one side and El Raval area on the other. Walking along it at night when we first arrived was quite an interesting experience. Think young men coming up to us trying to sell us single cans of beer. After denying them each time, we couldn't help but to find the situation hilarious. Trying to sell single cans of beer on a February Thursday night? What a job. During the day time, Las Ramblas is a lively, happening street. Although it is mostly filled with tourists, it still is a beautiful place lined with palm trees and souvenir stalls. Friday morning, our first full day in Barcelona, we made our way first thing in the morning to La Boqueria, a giant market located on Las Ramblas. The market had everything from tropical fruits and fresh, beautiful vegetables, to legs of pig for fresh ham, and deliciously slurpy oysters. It's a busy and bustling place, crowded with tourists and locals alike. If you're looking for a place to get fresh food and also experience a bit of the Spanish culture, look no further. Shortly after, we found our guide and began our tour. 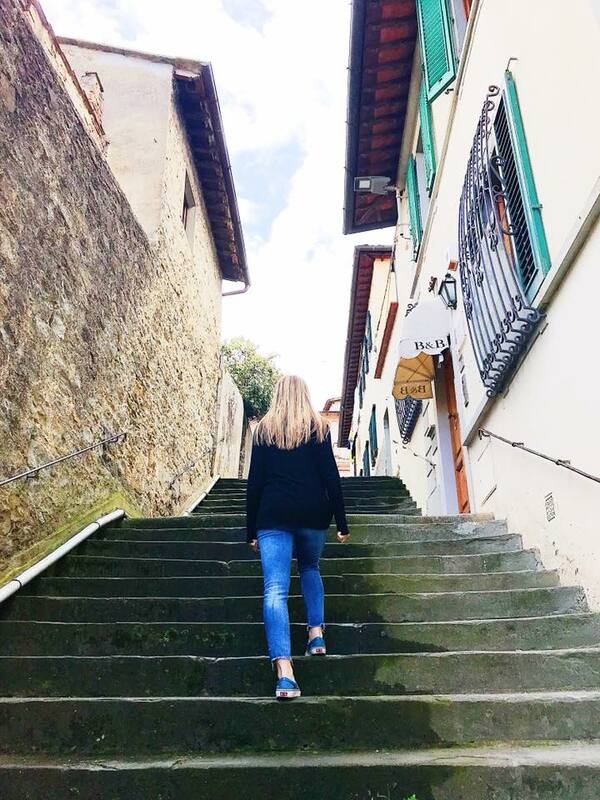 We decided on a tapas and vino tour to attempt to get the authentic taste of Spain, and more specifically, the Catalonian region. As most of you reading this might know, Catalonia has been striving to become its own independent country for quite some time now, and historically is quite different from the rest of Spain. The region even has its own language, Catalonian, so we were excited to thrust ourselves into the food and drink of their specific culture. We were absolutely blown away with the knowledge of our guide, and the tasty tapas that paired so perfectly with the wines we were trying. I highly recommend this tour for anyone visiting Barcelona and looking to get a delicious taste of the gastronomy culture. We booked the tour through Viator. I'm not going to list all of the restaurants we visited, as to not ruin the surprises of the tour, but below are a few moments captured on the tour. For dinner that night, we decided to finally try the dish that surrounds Americans minds when we think of Spain: paella. However, finding an authentic paella restaurant proved to be quite a feat. I spent about an hour and a half researching different restaurants, reading blogs, and glancing through restaurant guides. I was so overwhelmed with information that we ended up settling for a place we had passed by quite a few times, situated a few blocks from where we were staying. Unfortunately, this paella was nothing to rave about. I have had paella quite a few times, and I was disappointed that Kyle's first time trying it was only mediocre. My advice for this: talk to locals and have them recommend places. We should have done more of this, but alas, we settled for only okay. This just leaves room for improvement next time we visit. Have you been to Barcelona? What did you think? Let me know in the comments!